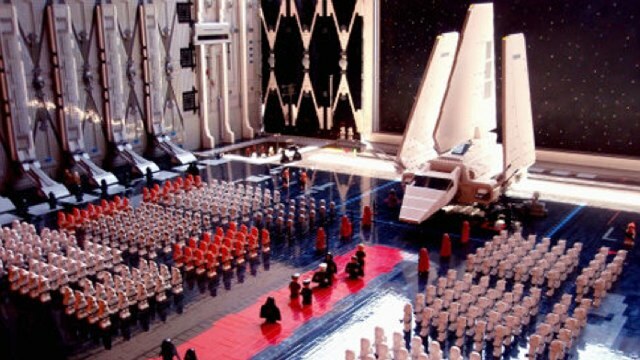 Crazy Cool: 30,000 Piece Lego “Star Wars” Diorama. | The Cineaste's Lament. Crazy Cool: 30,000 Piece Lego “Star Wars” Diorama. The Death Star hangar scene - from "Jedi" in Lego! This entry was posted in Animation, Film News, Screen Sirens and tagged Darth Vader, George Lucas, IO9, Lego, Return of the Jedi, Star Wars. Bookmark the permalink.